 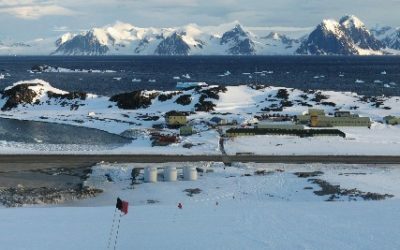 Modernisation work to transform how Antarctic science is delivered has begun at Rothera Research Station, with excavation work starting on the deconstruction of the old wharf. 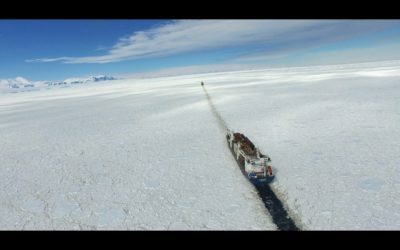 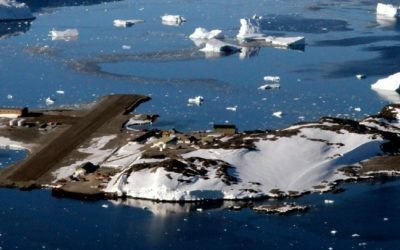 A new 74-metre long wharf, bigger, deeper and stronger than the current one, will be built during the next two Antarctic seasons. 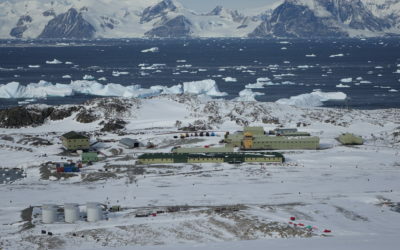 It is due for completion in April 2020, and will provide safe berthing and efficient operations for the new polar research vessel the RRS Sir David Attenborough. 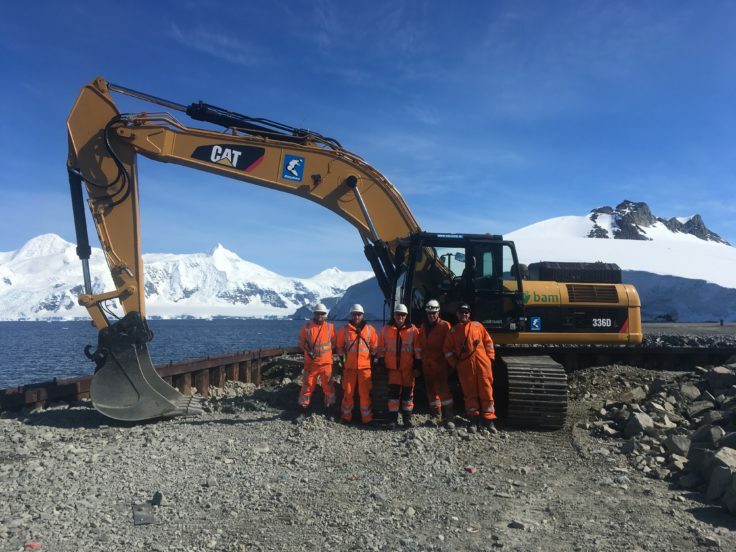 Whilst preparations for building a new wharf have been underway for two years, the first “spade in the ground” moment occurred this weekend when two 35t excavators operated by construction partner BAM Nuttall broke through the surface of the old ‘Biscoe’ wharf and began the process of deconstruction, which has to take place before the new wharf can be built. 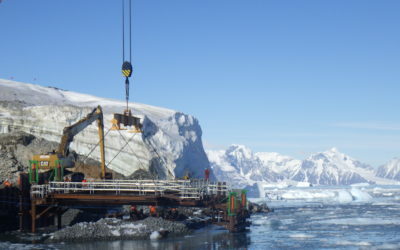 The excavators will soon be swapped for two 90t long reach machines for the deep excavation and dismantling works. 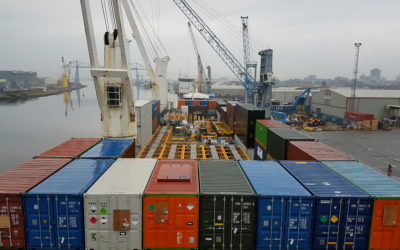 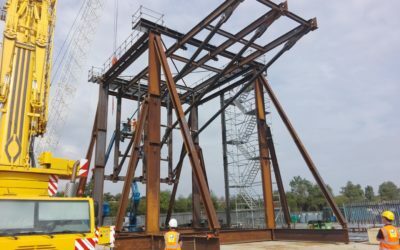 Because of the practical restrictions of working in one of the most remote construction sites in the world, the construction team practiced full-scale assembly of the 30 tonne steel rigs that will form the skeleton of the new wharf in Southampton before deployment, in order to identify unexpected challenges or additional pieces of equipment needed whilst still in the UK, rather than once everything had been shipped 11,000km to Rothera.